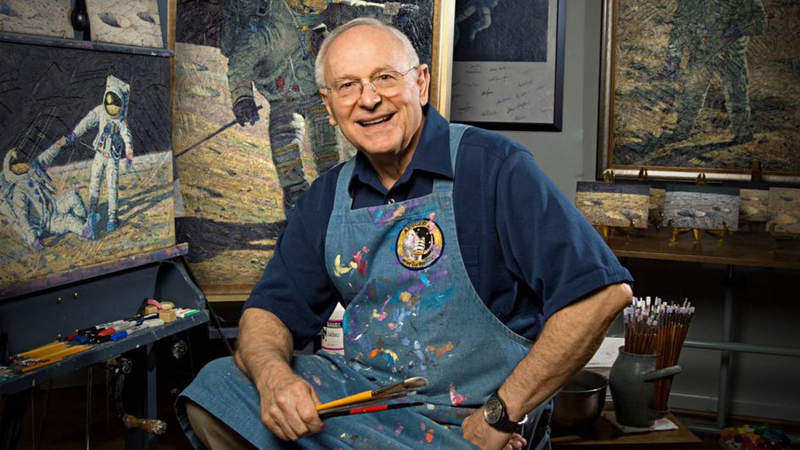 This past Saturday Alan Bean passed away after a brief illness. He was one of only twelve men to have walked on the moon. All of those moonwalks occurred in the late 60s and early 70s and all of the moonwalkers who are still alive are now well into their eighties. With the passing of Al Bean there are now only four men on Earth who have walked on another world. What made Bean particularly unique (within an already incredibly unique category of men) was what he did after he walked on the moon. He became a painter. His work focused on spaceflight and his experience seeing things so few of us will ever be able to see for ourselves. Bean's abrupt career change always reminded me of that line from the 1997 film Contact where Jodie Foster, finding herself unable to describe the overpowering beauty of the cosmos, says that rather than a scientist like herself they "Should have sent a poet." Even thought it's been almost fifty years since we first landed on the moon we are still in the infancy of space exploration. We aren't yet to the point where we can send poets into space. But it is somehow comforting to know that some of the test pilots, engineers and scientists we have sent come back so changed that they decided to become poets.